is situated off the High Street on the road leading up to the Village Hall. The Field received QEII status in 2012 as part of the Queen's Golden Jubilee Celebrations. 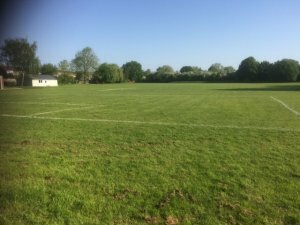 There are many attractions on the field including a cricket wicket, 2 football pitches, flood lit multi use games area, netball facilties, basketball/football arena, 3 youth shelters, 28 items of outdoor gym equipment and a petanque pitch (french boule). and Little Paxton Colts FC Annual Football Tournament. all ages - from toddlers up to the age of 12.